I have the odd habit of referring to my involvement with the Illinois Wood Utilization Team as missionary work. Cutting to the chase, the mission of this missionary work is to create and promote a marketplace for wood salvaged from community and landscape trees felled due to insect infestation, storm damage, urban development, old age and other life-ending causes. IL WUT, as we are prone to refer to ourselves, is made up of several dozen dedicated volunteers from all walks of the urban wood supply chain: arborists, tree care professionals, state and municipal foresters, sawyers, architects, woodworkers, etc. Our activities, as well as those of our Full Circle Urban Forest Network partners in Michigan, Missouri and Wisconsin, are supported by a grant from the USDA Forest Service, an equal opportunity provider, employer, and lender. The Forest Service has invested in a number of urban forestry intiatives the years, including many aimed at repurposing some of the millions of trees infested by the emerald ash borer as lumber. Sadly, the fate of most of these beetle-ravaged trees is chipping. Some are mulched or chopped up as fire wood. It’s a fact, however, that many of these trees have sufficient length and girth to yield lumber that can be used to make furniture, cabinet, flooring and other wood products. The emerald ash borer might kill the tree but it does not harm the wood. A small but growing number of businesses have sprung up to capitalize on urban wood, the next generation of “green” and a handy material for those who like to source local/buy local. Next month my missionary work takes me to Atlanta and the International Woodworking Fair, a biennial event I have attended without fail since 1986. IWF is the North American woodworking industry’s largest event. It is an industry beacon, attracting more than 1,000 exhibiting companies displaying machinery, cutting tools, raw materials and much more. 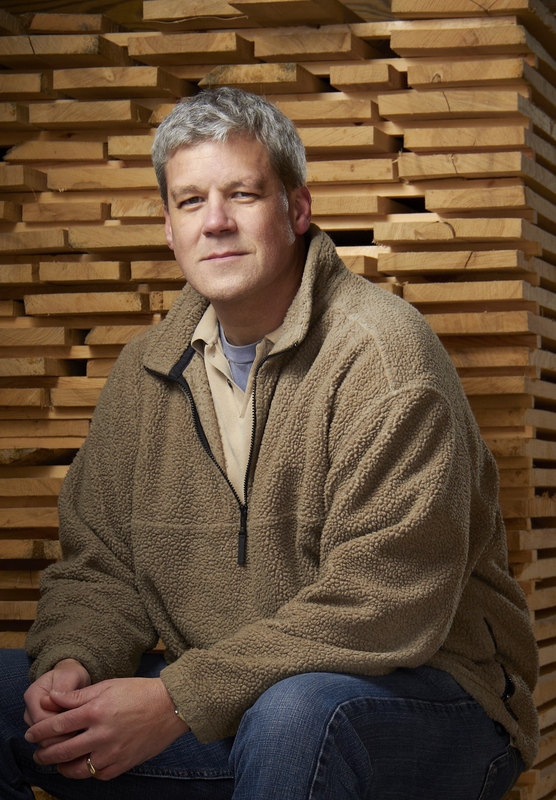 More than 15,000 woodworkers from throughout the U.S., Canada and beyond are expected to attend. Through special arrangement with the organizers of IWF, urban wood will have a national forum, an amazing opportunity to connect with woodworkers and suppliers. The Full Circle Urban Forest Network will present a free 90-minute seminar, “Urban Wood: Making Products and Profits from Landscape Trees” at 1 p.m. Friday, August 26. 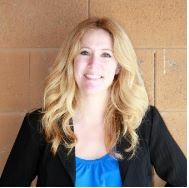 I’ll moderate a panel made up of three urban wood entrepreneurs – Jennifer Alger, CEO of Far West Forest Products; Rick Siewert, owner of Wood From The Hood; and Dwayne Sperber, owner of Wudeward. We’re fortunate to have the financial support of three forward-thinking entities for this program: Wood-Mizer, the Southeast Urban Wood Exchange and Dovetail Partners. 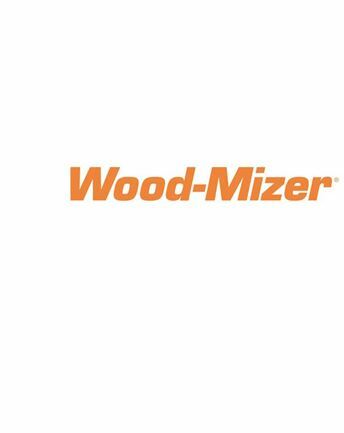 Major Sponsor Wood-Mizer of Indianapolis, IN, has long been a leader in portable sawmills, a great tool for milling lumber from trees harvested from the urban forest. A couple of great resources provided by Wood-Mizer includes The Wood-Mizer Way magazine, which includes engaging profiles of custom sawyers and woodworkers, many focused on urban wood. Woodworkers looking for a supply of urban lumber or slabs can find local sources by using the Wood-Mizer Pro Sawyer Network, a state-by-state guide to Wood-Mizer sawmill owners. Major Sponsor the Southeast Urban Wood Exchange is preparing to launch a new website to support the creation and promotion of urban wood networks within Region 8 of the U.S. Forest Service which encompasses 13 States from Virginia to Florida and Oklahoma, plus Puerto Rico. The Exchange’s mission is to help increase awareness of urban forests as a sustainable source of wood suitable for processing, thus increasing demand for urban wood. Sponsor Dovetail Partners of Minneapolis, MN, provides authoritative information about the impacts and trade-offs of environmental decisions, including consumption choices, land use, and policy alternatives. One of its areas of expertise is urban forestry and urban wood utilization. Dovetail Partners has provided consulting services for the impending launch of the Southeast Urban Wood Exchange. Dovetail recently published a report, “Assessment of Urban Tree Utilization & Forestry Programs of Richmond, VA and Raleigh, NC.” Dovetail has also produced several videos about the urban forest, including the one below. The North Carolina Urban and Community Forestry Grant Program worked with the Oregon Forest Resources Institute to produce a series of three Forest Fast Breaks — videos focused on important contributions of the urban forest. Forest Fast Breaks simplify complex forestry topics into concise, engaging animated shorts with sound effects and narration. View the full list of Forest Fast Breaks here. 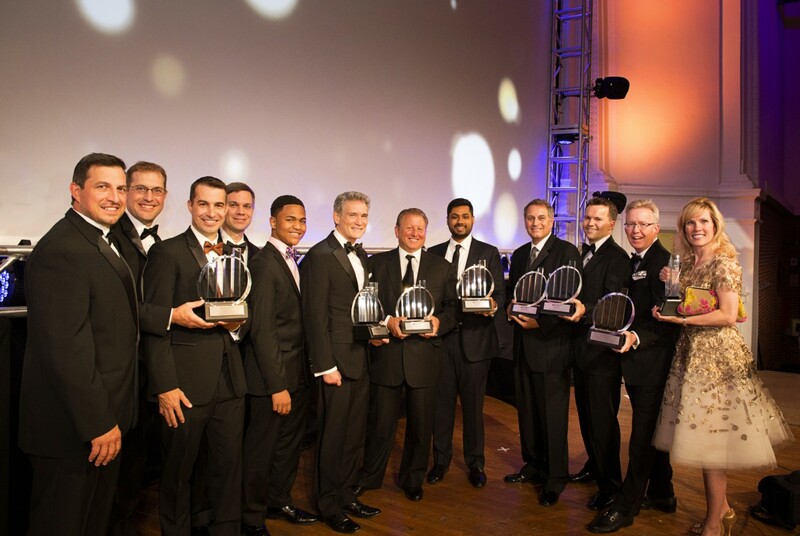 Carter Sterling, third from left, is among winners of Ernst & Young’s 2016 Entrepreneur of the Year for the Midwest region. Lightning struck Sterling Lumber Company of Phoenix, IL, in a good way. The company was recently recognized for its business leadership in separate award ceremonies, one by accounting firm Ernst & Young and the other by the Chicago Southland Economic Development Corporation (CSEDC). 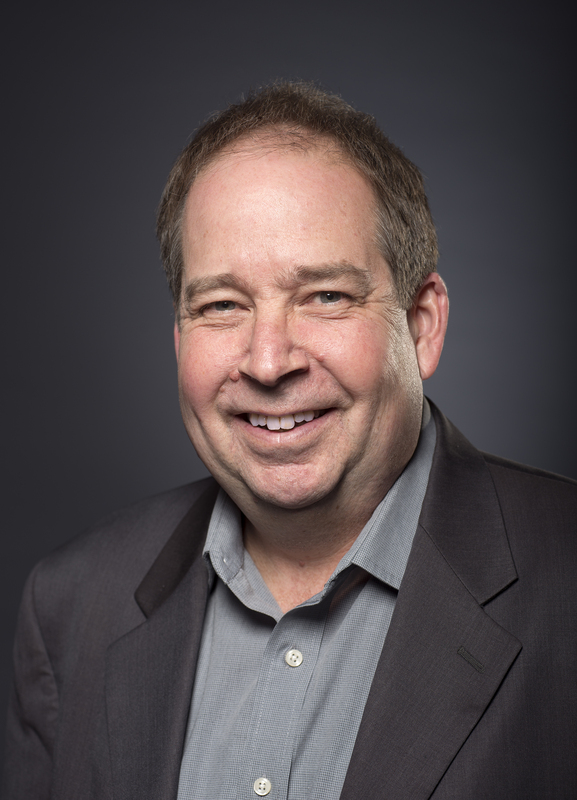 Ernst & Young named Carter Sterling, CEO of Sterling Lumber, as its EY Entrepreneur of the Year for 2016 in the Midwest Region. The award recognizes trending entrepreneurs who have elevated their respective companies in the areas of innovation, financial performance, and personal commitment to their businesses and communities. The 60-year-old family business is a national leader in the production and installation of ground protection mats for the building of electrical transmission and distribution networks, as well as major highway and bridge infrastructure and the oil industry. Sterling Lumber has been listed on Crain’s Fast Fifty in each of the last two years and has amassed a five-year growth rate of 569 percent. Sterling Lumber has also been active in the Chicago-area urban wood market, including partnering with the Chicago Park District on a number of initiatives such as using felled park district trees to remodel the Bears Den at Soldier Field. 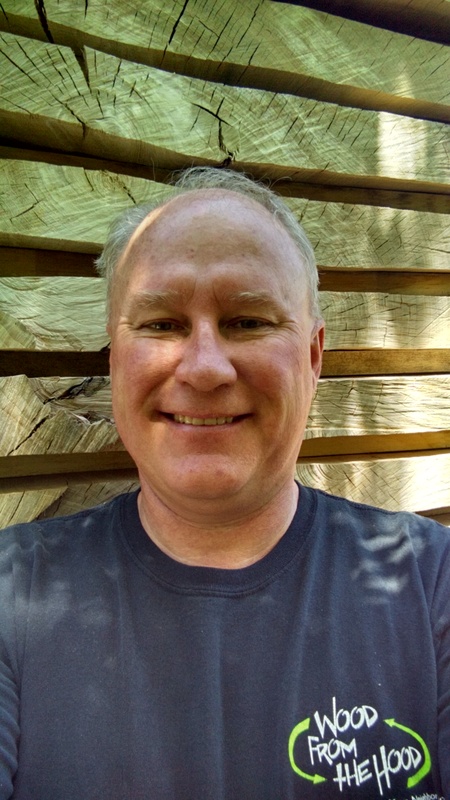 Its division, Sterling Tree Solutions, is an active member of the Illinois Wood Utilization Team and sponsored the Bringing the Urban Forest Full Circle Conference held in March. Throughout its three decades in existence, the EY Entrepreneur of the year has honored the inspirational leadership of entrepreneurs such as Howard Schultz of Starbucks Coffee Company, Robert Unanue of Goya Foods, and Mindy Grossman of HSN. Recent U.S. national winners include Reid Hoffman and Jeff Weiner of LinkedIn; Hamdi Ulukaya, founder of Chobani; and 2015 winners Andreas Bechtolsheim and Jayshree Ullal of Arista Networks. As a Midwest Award winner, Sterling is eligible for consideration for the EY Entrepreneur Of The Year 2016 national program. Award winners in several national categories, as well as the Entrepreneur of the Year National Overall Award winner, will be announced at the Entrepreneur of the Year National Awards gala in Palm Springs, CA, on Nov. 19. Read more about the EY Award. Carter Sterling was also on hand when his father John and his family were presented with 2016 Big Shoes Award by the CSEDC. 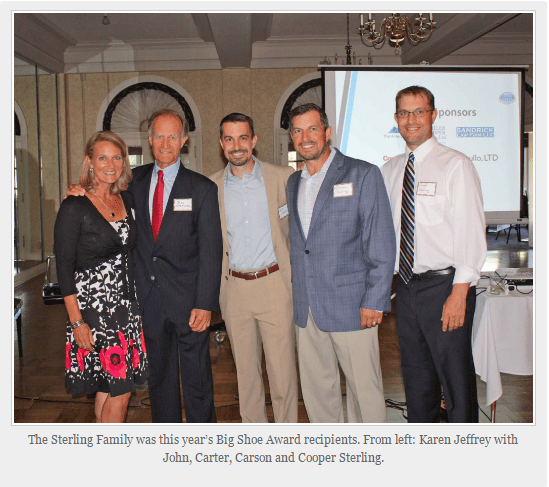 Phoenix Mayor Terry Wells told the crowd of 150 in attendance that the Sterling family was well worthy of the Big Shoes Award for bringing its business to his south suburban town. Read more about the Big Shoes Award. Furniture and projects crafted by local custom woodworkers from community trees will be featured in the ElkhartWood Showcase, a component of the city’s annual EnviroFest, 5:30 p.m. to 9:00 p.m. Friday, July 15 at the Wellfield Botanical Gardens in Elkhart, IN. Approximately 2,000 people are expected to attend EnviroFest, Popovich said. She added that the newest addition to Wellfield Botanic Gardens is a Japanese-style wooden pavilion that was partly constructed from ash logs removed from and gardens and partly from logs removed at McNaughton Park and sold through the ElkhartWood program. “It’s probably the biggest thing our logs have gone towards in the city, that I am aware of at least,” Popovich said. EnviroFest also features kids’ activities, live activities and a wine and beer garden. 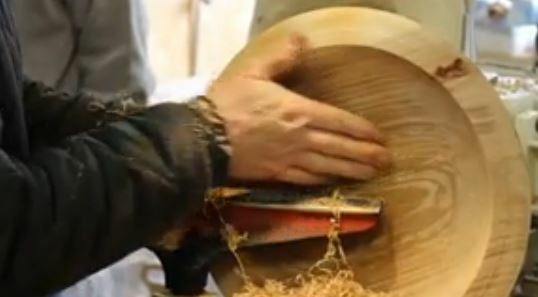 At least a dozen bowls made from the silver maple logs were donated to the annual Empty Bowl fundraiser, which supports the Second Harvest Northern Lakes Food Bank. The homeowner who donated the once towering maples for the cause said it was comforting to know they were being put to a good use. Read the story and view a video.